Choosing the best legal structure for your business is one of the most important decisions one has to take when starting a business. A business enterprise can be owned and organized in several forms. Each structure has its own advantages and drawbacks and knowing them will ensure you choose the right one suited for your business. The right choice is one that balances the advantages and drawbacks. There are many considerations that must be kept in mind while zeroing down on the form of organization such as the nature of the business, scale of operations, degree of control, amount of capital required to establish and operate the business, volume of risk and liability and tax liability. Generally, this is the toughest part of the business decision while starting your own venture as taking a wrong decision on the type of organization can be fatal to the business. Hence, choosing wisely is crucial. It has been found that lack of awareness of various options available for setting up an enterprise and funding is one of the biggest hindrances when starting a business. This article discusses important pros and cons of the various options available. But choosing the right legal entity must be taken with sound expert counsel. • Easy and inexpensive: It is the simplest and least expensive with legal costs limited as there is no specific registration requirement. In case the profile of the proprietorship falls under the Shops & Establishments Act, a specific registration has to be done. This registration, along with bank statements, often acts as name and address proof of the proprietorship. In terms of operation too, there are no restrictions or continuous compliances as such. • Complete control: The owner has complete control over all decisions and is not required to consult with anyone else when making decisions. • Easy tax returns: The personal income of the proprietor and the proprietorship is deemed as one and so no separate tax returns need to be filed. • All business liabilities are personal liability: A sole proprietorship is not an independent legal entity and all its assets are deemed as the assets of the owner who is entitled to all profits and responsible for all debts, losses and liabilities of the business. • Hard to raise money: This structure does not permit foreign investments and can be challenging to raise money. • Easy and cost-effective: Partnerships are relatively the most cost-effective and easy to manage business structure. • Shared financial commitment: This is the biggest advantage as each partner is equally responsible for the firm’s success and profits. Resources can be pooled to obtain capital. On the flip side, an unequal contribution can turn into a bone of contention among partners. • Separate taxes: While a partnership firm is not a separate legal entity, it has a limited identity for taxes as the firm is taxed separately from its partners. • Easy dissolution and expansion route: Winding up is less cumbersome which makes this structure most suitable when looking to experiment with a venture. Further, it can be converted into a Limited Liability Partnership (LLP) easily by filing the requisite forms with the Registrar of Companies (ROC). • Hard to raise money: When looking to raise money, a partnership firm may not be the ideal structure as financial investors would not take on liabilities associated with being a partner. It does not permit foreign investments. • Limited liability: Incorporating a private limited company requires a minimum of two shareholders and two directors and the shareholders and directors are not personally liable for the acts of the company but can be fined and/or imprisoned in their official capacity. Therefore, it is important to understand the role, duties and liabilities associated with being a director. • Initial investment: The minimum authorized and subscribed capital must be INR1,00,000 which must be transferred to the company’s bank account for share subscription. In addition, there are costs associated with incorporating the company and paying stamp duty. These requirements may prove to be hurdle for many startups. • Compliance requirements and paperwork: A private limited company must comply with substantial amount of compliances. For instance, there must be quarterly board meetings, various registers must be maintained, accounts have to be adopted within six months from the closing of the financial year and filed with the ROC, etc. • More stable structure: From an investor’s perspective, a private company is a more stable structure as there is an ongoing monitoring by regulatory authorities ensuring their investments are relatively secure. • Exit is not easy and fairly expensive: Unlike sole proprietorship or partnership firm, winding up a private limited company is not easy. There are legal mandates which can take anywhere between one to two years. • Permits foreign investment: This structure permits foreign investment subject to the latest foreign direct investment policy issued by the government. Some sectors can allow 100% FDI under the automatic route while others require prior government approval. b) Increase of average annual turnover during the period of immediately preceding three consecutive financial years is beyond rupees two crores. • Operational ease: OPC makes it easy for a single proprietor-based business to become more stable and independent. 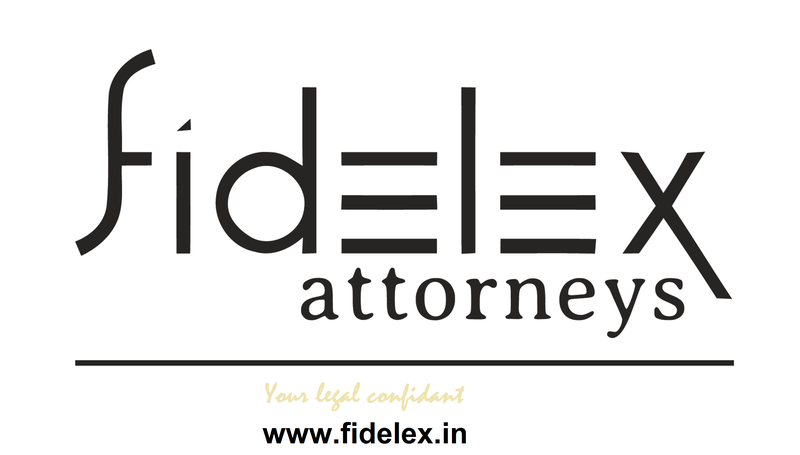 Since it is a legally incorporated entity, it has to ensure compliance with the Companies Act, 2013 but it has been given some operational freedom. For instance, OPC does not have to include a cash flow statement in its financials, it is required to hold only two board meetings in a calendar year (one in each half with more than 90 days gap between two meetings), etc. • Minimal capital is needed: Similar to a private limited company, an OPC requires a minimum authorized and subscribed capital of INR1,00,000. In case the subscribed capital is more than INR50,00,000 or the turnover exceeds INR2,00,00,000, the company must file the requisite forms with the ROC to get convert it to a private limited. • Winding up is hard and expensive: An OPC follows the same process as a private limited company to shut shop making it time consuming and fairly expensive. • Permits foreign investment: Foreign investment is permitted subject to other OPC-centric thresholds. • Best suited for a single founder who wishes to launch a product/service in a more structured manner: This route is best suited for a serious single owner looking for more structure and stability. • Limited liability: Unlike a partnership firm, LLP is a separate legal entity and limits the liability of its partners. Two designated partners are required to incorporate a LLP. The incorporation process is similar to that of a private limited company and OPC and is entirely online. There is also no minimum capital requirement. • Easy compliance: A LLP does not have obligations similar to that of a private limited company. There are no mandates to maintain registers, minutes, etc. However, a LLP must file its accounts and annual return with the ROC. • Easy taxes: As the profit after tax of a LLP is reflected in the personal income of partners, tax returns are easier. • Easier exits: The process of closing a LLP is not complex and can be done by filing the requisite forms with the ROC. • Operational ease with accountability: An LLP provides operational ease to manage the business while creating a system of accountability through the mandatory ROC filings. • Permits foreign investment: It allows foreign investment but only after government approval and only in sectors where 100% FDI is permitted under the automatic route for a private limited company without any FDI-linked performance conditions. Clearly, all the business structure options have their pros and cons and the choice depends on a number of factors and must be taken after through due diligence with experts. After all, choosing the wrong structure can have legal and tax implications down the road. This entry was posted in Company, Topical Issues. Bookmark the permalink.